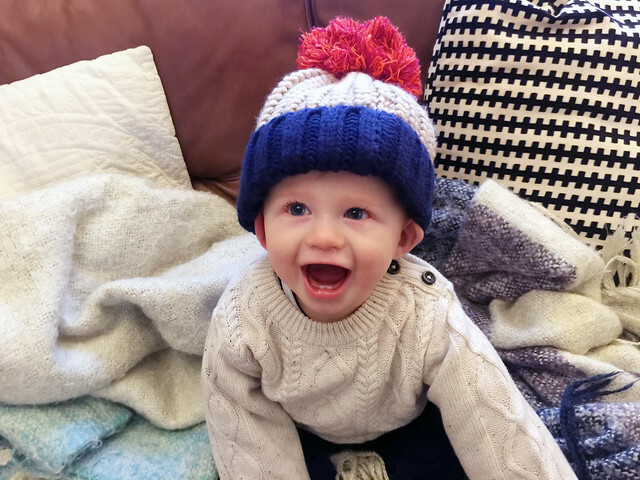 This week the weather's gotten colder so we've been dressing Zach in cosy, chunky knits. I bought this jumper a couple of weeks ago but as usual with H&M it took ages to arrive. The wait was worth it though as it is gorgeous and so soft. The hat is from a set of two I picked up in Next when I realised Zach didn't have one big enough to fit his head - this one is on the other end of the spectrum and is way too big for him! His jeans are our favourite comfy pair from Zara and then I had to include these socks I found in Sainsbury's because they are too cute. 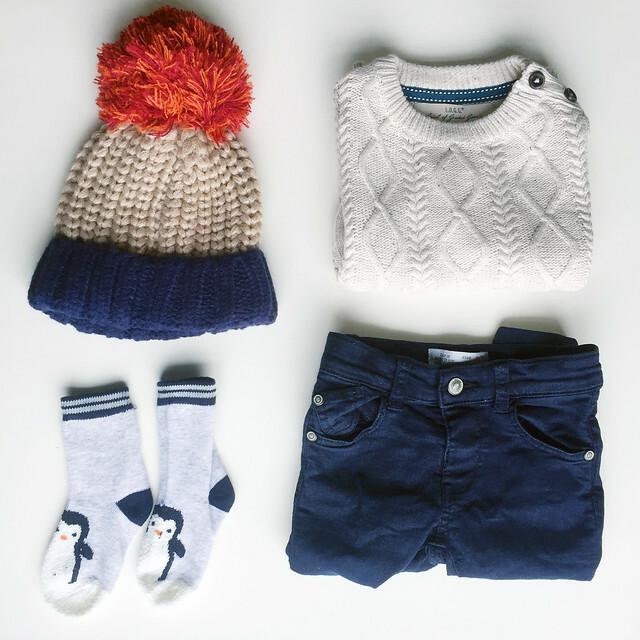 What a cute bobble hat! Love it! It has got cold quickly recently! 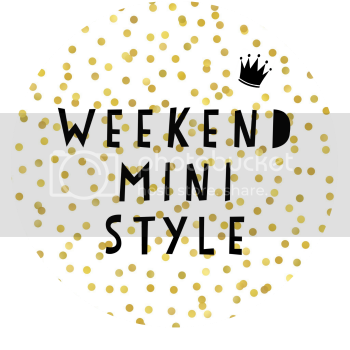 Brrrrr #weekendministyle We'll be investing in one soon! Ahhhh I just HAVE to have this hat, Zach looks absolutely adorable in it. Perfect for the winter months ahead.